Chambray is denim’s dressy cousin and can easily be worn to the office. While it works in many climates year-round, it is lighter weight than traditional denim so is perfect for summer. Chambray is also ideal for weekend wear — just style it more casually with sandals and a fedora and you are festival-ready! 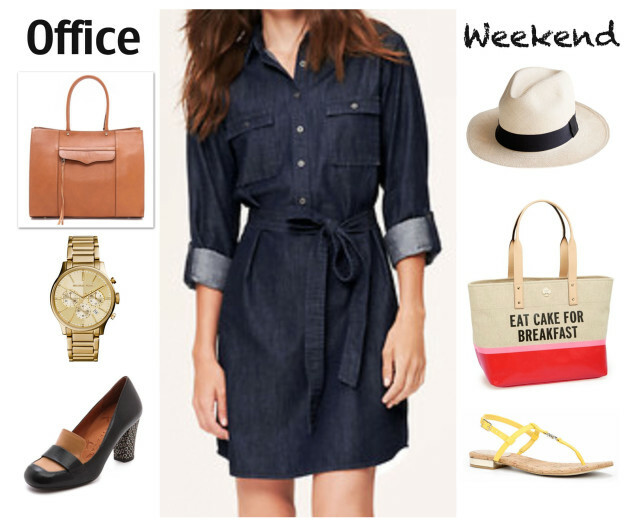 Here are some pieces we found that are polished enough for the office and how we took a chambray dress from work to the weekend. Fab Finds | These Pom-Pom Sandals!